For a picture of the steps involved in joining Product Data Lake and when to use the below documentation, please read the Product Data Lake Track to Excellence. Product Data Lake Overview will give you an introduction to the service, why you need it, what it is, how it works and what are the license fees. In Getting Started, you will learn how to create a party account and how to set the first technical preferences. The Data Exchange User Guide will take you through the different ways of loading data into the service and getting data out of the service. How you find your trading partners, request partnerships in the Product Data Lake, accept them and if needed reject them is covered in the Manage Partnerships User Guide. Handling your product portfolio and linking common products with trading partners is explained in the Manage Products User Guide. Exposing your attributes and linking them to your trading partners attributes is discussed in Manage Attributes User Guide. The ins and outs of sharing digital assets can be visited in Manage Digital Assets User Guide. User management, technical preferences, notification settings and general party information is described in the Manage My Party User Guide. For the technical interested, here is the Product Data Lake Architecture. When sharing data in a cross company context you will need to expand your data governance framework to cope with the challenges in doing that. 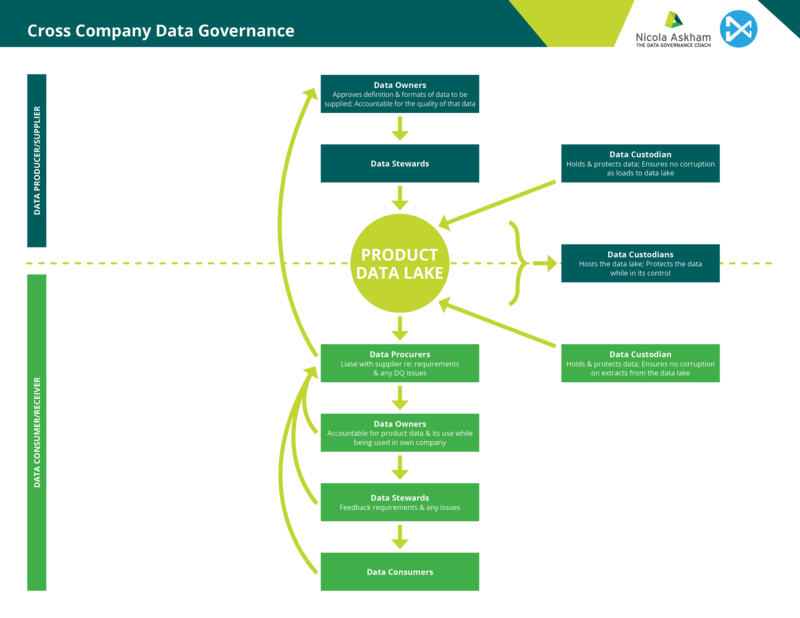 Therefore, Product Data Lake have established a partnership with one of the most recommended authorities in data governance: Nicola Askham – the Data Governance Coach. The triangular and pyramid graphics are trademarks of Nicola Askham Ltd.